Before I start on why home staging is important for fellow landlords, let me go off topic a bit. I have been busy with business development and a lot of new ventures, but property investing remains my lifeline and main hustle. It has been a hectic period with short stints at part time employment. It is great to be back here.This is the space that keeps me focused. I share for my own benefit here too. 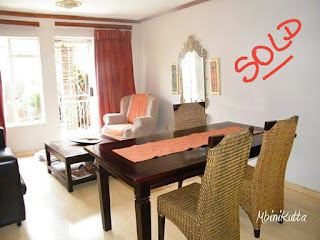 For about three months I have been revamping properties for new tenants and restructuring the rental types themselves. 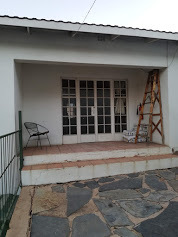 I turned a commune into a single-family property, installed prepaid meters in a multiple family property and worked quite hard at ensuring that the properties look amazing. You must have heard it before...I only let a property that is good enough for me and my family to occupy. I will provide details of the work I have been busy with in the next few blogs. Today is introductory to that with regards to why home staging is important. A number of people cant take the stress of fixing stuff and dealing with contractors. This is true with tenants too. A number of people who do not prefer home ownership prefer a simple stress free life without the pain of replacing broken tiles. I on the other hand am one of a few people who makes it a point that stuff is fixed each time it breaks. Sitting with a problem distracts me. 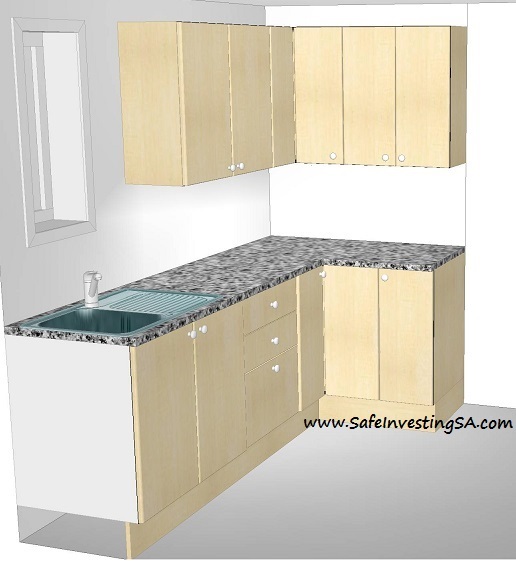 If a cabinet drawer is broken, it should be fixed or replaced within a few days. Maintenance is one of the most important aspects of home ownership and being a landlord. The longer it takes to fix a problem, the higher the cost. This also helps with upgrades on the property in between tenancies. Prospective tenants never see potential. Frankly, potential is not in their interest. All they want is a “ready-to-move-in” home. That is probably the reason they avoid the stress of building their own homes themselves. I shy away from showing a place before it is completely turnkey. You’d be lucky to show a house to a prospective tenant twice. They take the first impression and take their decision based on it. Avoid showing a property prematurely with statements such as: “the cabinet will be fixed; we will replace the cracked glass; the electrician is coming tomorrow;" etc. This is why home staging is important. I have also viewed properties that are packed with stuff resembling some kind of a storage facility. Some with those thin and shallow cracks that take minutes to fix. Properties that are sometimes fixed but not cleaned. Its worth taking a week extra to go through fixing those nuisances and hiring a cleaner for one day to remove the dust. I always take a minute to imagine myself living in the place. Once again, if the place is not good enough for me and my family, it is not ready for my tenant. This has little to do with the value of the finishings but neatness and state of repair. I will go through ways of ensuring easier maintenance in the coming posts. This was just to welcome myself back to the space that has given so much back to my life. 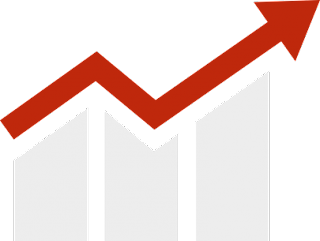 Expect diversified investment posts and guest bloggers with real life wealth building posts. Changing bad habits is a constant battle for all of us. It does not matter how not life altering the habit may seem. From eating in instead of dining out to raiding your closet for the next wedding instead of paying a designer for a new outfit. It takes a lot of discipline and intentional effort. I changed my bad financial habits and still continue to relapse and rework on them again and again. We need to understand that this is a ceaseless battle. I am fortunate in that, my own habits do not encompass carrying huge debt quantities. It is mostly shopping for stuff I do not need. Carrying consumer debt should be frightening for all of us. It is strange that when people are in that high debt situation, they tend to behave like frogs that are being boiled from low water temperatures. They simple adjust to their situations, and then start borrowing even more. The longer one is in debt, the deeper they tend to dig the grave. Let me start by confessing, to demonstrate how easy this happens to most of us. A few months ago, I finally got myself a credit card. Phew! Was I ever so eager to get into debt? The thing is, I started an exciting, high capital and slow growth business. I was rushing the business to be self-sustaining ahead of its time. I'm not a patient type. It emerged that it is not happening anytime soon. I had to get a credit card to assist the business. I do not believe in bankrupting myself to assist the business but the situation called for it. Well…I swiped the credit card for the business transactions and ahem, mine. In no time, the card was maxed out. I started having the business pay the debt, but it was very difficult. Instead of me working harder on doing this, I just got used to carrying this debt. I got comfort in the fact that I was not paying any interest because I was paying the credit card balance up monthly and transferring my money back again. The credit card debt was becoming part of me, until I realised that I was getting captured (as South Africans would say) and paid it up. The business may reimburse me someday. A lot of people carry huge sums of credit card debt like it is a perfect way of life. Some have intentions to get out of debt but regress back to it. This is just one of the habits that keep us trapped regardless of our intentions. Then comes January, we repent and promise to get ourselves cleaned up. The main reason we don't permanently kick these habits is that, they somehow fill the void inside of us. You can only replace a bad habit with a good one. That void needs to be filled with something, Right. I changed my bad financial habits by replacing them with good habits. I am a designer and tend to buy a lot of home stuff. I also have acute hoarding habits. I decided to have a business that sells used, vintage and antique home-ware. This enables me to acquire new stuff as often as I wish. I simply resell existing. You may not be reselling (I don’t see why not though), but need to replace the mall time with something that adds better value to your life. We also need to understand that changing bad habits is a very difficult and lonely journey. The society is about spending and spending more. The higher your debt, the more likely you would be "liked". Our society shows a high level of respect for people who are flashy. Being one's own person often takes swimming against the tide. Do it despite everyone else's perceptions. It is your own journey and your own goals. Your ability to exercise self-control can stretch beyond your imagination. It is easier than you imagine. Always keep your eye on the ball. Refer to the article on setting SMART goals posted in the blog. Know what triggers your bad habit. If it takes cutting mall visits and people who are bad influence from your life, do it. Keep busy with something else. Physical exercise could be one. Get support structure if you must. Surrounding yourself with like-minded people does wonders for one's goals. Those are a few steps I took when I changed my bad financial habits. I stay put most of the times. Sharing goals with friends, family and other like-minded people can help provide one with the much needed support. This may also provide a safe place to "sort of" account on implementation and progress. I am very much aware that this is a non-negotiable NO for many people. But the outlier in me makes this perfectly OK, at least for myself. Well, I am evidently a blogger. You know, the crazy bunch that deliberately thinks aloud. 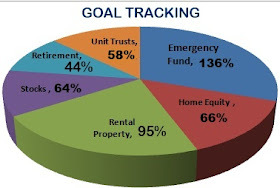 In the previous post, we detailed how to set personal finance goals. If you haven't already, go check the post before this one. You will not be disappointed *broad smile*. Having set the smart goals, I find that sharing them with just one person helps me strive to bring them to fruition. I cannot be the only one who thrives on support. Anyway today's post will be about me…of course, my self centeredness knows no bounds *more smiles*. For as long as I can remember I had an accountability buddy. My accountability person is usually a like-minded friend who also derives similar benefits from the friendship. In my twenties I had a friend who impeccably played this role in the finance area of my life. She had a lot of goals herself, which gave a high degree of mutuality to this accountability role. We never planned to keep each other accountable, but we did. She would tell me how she plans on paying her apartment up in a very short space of time. I would do the same. That is when most of our friends were shopping just to kill time and to feel "rich". I later started this blog, specifically to keep myself accountable. I account to myself with no reservation here. If I set a goal using this blog, I am sure to achieve it at the set time. But this happens when I commit to constant reporting. You may not have been following me for long enough to have been part of my mortgage pay up journey that I took about 6 years ago. I was very excited each time I write the progress report. This pushed me to pay more on the mortgage, to beat my set target deadline. All of this happened here in the open, in my blog. I did that until my mortgage was fully paid. What a feeling!I attribute my bond repayment success to the target setting and tracking that I was doing in this space. I still share some of my goals with close friends. Apart from that, I have set an accountability club on Facebook to keep myself and others accountable to ourselves. It is a closed group with like-minded friends. Every month each of us reports on progress towards achieving their set goals. One may have only one goal communicated to the group. Reporting is done in the form of sharing evidence which is done monthly on all set goals. The regular updates keep each member of the group accountable not only to us as group members but to themselves too. I would recommend this approach to anyone who has ambitions to build wealth. Sharing goals does have its cons too by the way. One has to be careful when they choose their accountability buddies. Negative buddies are to be steered clear of. I know people who bring so much negative energy to one's excitement and dampen the spirit. Choose wisely. I must have told you about the guy who goes beyond the exercise of setting financial goals by framing and hanging them on the wall of his home office. He takes pleasure in seeing his goals on display daily. I don't quite do that, but it seems to do wonders for people as visual as the guy. I myself am a goal driven nutcase. I can never achieve anything without intentionally setting a goal for it. I am currently re-building on my emergency fund for instance. I have committed to a specific amount that I save every month towards my maximum emergency fund. Without that commitment, I tend not to be consistent. I can be that messy. I advocate for goals that are challenging enough to push one where they are aiming to be, but yet attainable. Whenever I plan to achieve a financial milestone, my goal states the amounts to be saved and/ or invested with target returns. The idea of SMART (specific, measurable, attainable, result-focused and time-bound) goals will never get out of fashion. I have a detailed explanation of SMART goals which entails writing goals down, setting targets and celebrating every milestone achieved below. Specific. You most likely have different goals at any given time. The "my goal is to build wealth" is a goal too broad and overwhelming to work on. I have heard of this particular one far too often in my wealth class. A smart goal is more specific than that. When setting financial goals, one needs to break a goal down with an attempt to respond to their own "What", "Why" and "How" for specificity. What is my goal? My goal is to earn high rental income. Why this goal? I need high rental income to supplement my current income and invest for early retirement. How will I achieve this goal? I am saving through a high interest investment vehicle towards acquiring my investment property. I am currently saving R5000 per month. I am also working on improving my credit rating to increase my chances of getting charged low interest by my lender of choice. It does not get more specific than that. Measurable. The measurability of your goals enables you to track your progress. This is the only way that you can have an evidence of the work you are putting towards achieving your objectives. Monthly:- I am saving R5000 every month to build towards my deposit. 6 Months:- To improve on my credit rating I am paying all my consumer debt off by month 6. I will also be having R30,000 plus interest at this date. 7 Months: In month 7 I am getting a new credit card that I will take great care of for the purposes of improving my credit score. 12 Months: By the end of year one, my credit rating will have improved to excellent. I will be having over R60,000 in my investment account at this time. Year 2: I will be having extra income to boost my savings at month 13. By the end of year two I will be having R240,000 in my investment account. You must be getting the measurability point of this post. I do this a lot. I go to an extent of adding interest to my excel spreadsheet. This makes the goal tangible and motivates one to work harder to achieve it. Attainable. I have come across a lot of people who have dreams that remain dreams purely because of lack of their dreams attainability. We all wish to achieve stuff but it takes a bit of time and proper planning to get where we want to be. We have to be millionaires before we become billionaires, unless of course we win lottery. Our current goals cannot be to be billionaires in a short space of time whilst we have not even attained the first R1 Million. Having said that, your goals should challenge you. Easy will not cut it either. Remember to break your goal down into smaller targets. This enables one to determine how possible achieving their goal is. Always remember to start where you are when setting financial goals. Results-focused. The only way to get things done is by focusing on the outcome. Always keep your goal alive. Take care of the processes but have your goal in your face/ mind at all times. Keep in mind that your main outcome is owning your investment property. Every step that you take is for the advancement of that goal. And the question asked is "how is this objective advancing my ambition to earn my rental income". Time-bound: Tying your goal to a time frame helps one to pace themselves in achieving it. A lot of us are procrastinators. A time-bound goal will keep one moving. Have you ever given yourself enough time to sit down and analyse your relationship with money? Yeah, neither have most of us. We just walk around pretending that our financial crisis is going to somehow sort itself out. We also get scared of being associated with the "love" of money. Because we may get labelled as "evil". To keep ourselves as saints we choose to lead a life of low productivity and high wastage. As if that makes us better citizens. Oh well, let's be serious for a minute. The main challenge with the majority of human beings is lack of patience. The idea of getting satisfaction sooner rather than later is so much more attractive. This, in most cases is what leads to a lot of us being highly indebted. Wanting a great lifestyle is by all means not a bad thing. Wanting it too early and with money one does not have is the main cause of the debt crisis that we are faced with. I will not waste any time on instant gratification. It is what it is. I have written and spoken about it until I was blue in the face. Everyone wants everything and they want it now. They want a nice executive car and a new closet that matches it. And they want it all, NOW. Instant gratification is what stands between most people and their ability to create wealth. This can certainly be rectified by the change in the mind set. Giving more value to long term goal versus the short term satisfaction. It is not easy but very doable. Next to lack of patience is the negativity. Most people don’t believe that they can be better, wealthier, wiser, etc. We are ultimately what we believe. This reminds me of when I started my business last year. I got into it with faith that my business was going to get very big. I started behaving like I was running a huge business because I never doubted for a minute that, that is where I was herded. Thinking big commands respect. Whilst thinking small diverts one's focus from setting and working towards meaningful goals. When you believe that you can achieve, you just do. Try it. The reason some people have the negative relationship with money is how they were raised. The only phrase they ever heard about money from their parents was negative. "Business is not for people like us"
Try and think of what your parents used to say about money. That could be where answers to your love hate relationship with money lie. When you do find the link between your own thoughts about wealth and your upbringing, fight that negativity every single day of your life. I do not remember ever saying I do not have money to my kids. All I say is that, what they want is not in my budget, or that we have other priorities. My son was still attending preschool/ kindergarten when he asked "mama, what are priorities?" To this day, he knows that we prioritise, which is a more intelligent and positive message than not having money. Especially when you actually do have some. Now that we have the negatives out of the way, let's look at how we can improve our relationship with money. Think about what will happen when you neglect anything in your life. It never grows, Right? That's exactly what happens when you neglect your financial affairs. Pay attention to where your money comes from and where it goes. One of the signs that you are not paying attention is that you find yourself having no idea what happened to the R1000 you withdrew. Red flag right there. Paying attention to your money involves appropriate personal finance planning, budgeting and/ or tracking one's expenditure. Your financial health is as important as any other aspect of your life. As we should all know, a bad financial state has a potential to make one physically sick. Why then would someone only focus on their physical health and neglect their state of finances? That cannot make any sense at all. Empowering yourself to know more about money should also be prioritised. Educate yourself, read, talk about money and learn from others. Learn from others' mistakes too. Finally, draw a personal life road map. Know where you wish to be and how you plan to get there. I am reminded of a piece of reading that I recently came across. A guy who not only sets goals but frames and hangs them in his home office wall wrote about how that keeps him motivated. He is able to see his goals daily. I don't quite do that, but it seems to do wonders for the guy. Goals should of coarse be challenging enough to push you where you are aiming to be. They should also be more specific and measurable. If you want to buy a house in two years, your goal should be to save XYZ amount for the down payment/ deposit, transfer and legal fees. You may even go further to break that amount to smaller deposits, like saving R2,600 per month over 12 months. I hope you will join me and work towards improving your relationship with money daily. I am, as a matter of fact, aware that I am an impulsive spender. I need to check on myself often, otherwise I lose track. Everyone has a money weakness and needs to check on themselves often. Take a decision to be a better version of yourself. It is a lifetime commitment and a very worthy cause. The joy I had when I learnt that the allowance for tax free savings accounts increased to R33000 from R30000 per annum. Most followers know that I am a fan of this government initiative. 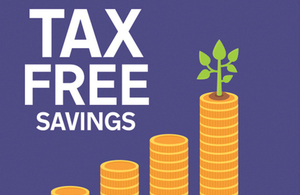 You may go check my previous posts on tax free savings account in South Africa, then choosing ETFs for my tax free savings account and low cost tax free investment to judge the excitement for yourself. R33,000 may be low, but it is a move in the right direction. The whole 10% increase, WHOOP!!! In his 2017 budget speech, Minister Pravin Gordhan had a lot of negative tax proposals. What's with the new 45 percent tax for above R1.5 million income earners, an increase in the dividend withholding tax to 20 percent, and an increase of 30c per litre in fuel levy and 9c per litre in the road accident fund levy. We are not surprised with the increases in the excise duties for alcohol and tobacco. The part on the allowance for tax free savings accounts increased to R33 000 came as a pleasant surprise. Some feel it is a rather small increase. I am a happy chappy with any increase for sure. There are a number of ways in which one can increase their tax free benefits using these accounts. I, for instance intend to open a tax free account for my son this year. Some of his ETFs savings are better off there, as long as he is not going to use the cash anytime in the near future. He is one guy who does not like property investing. A story for another day. For the monthly savers and investors who want to maximise the benefit, R2750 will be their monthly contribution from March to February. One can save less than that if that is what they afford to put away. The lump-sum is another option for those with cash reserves. As I mentioned in the past, I am using Exchange Traded Funds (ETFs) for this account. Reasons being that this is a long term savings benefit limited to R500,000 in one's lifetime which should earn the highest returns possible. Withdrawing from this account should be avoided. I wanted to add "at all cost" in the previous statement. This can serve as one of those cushy retirement provisions. Another important piece of information is that, we will not be able to transfer our savings within the different service providers until 1 March 2018. When the National Treasury finally implements this provision, we will be able to move our investments from one service provider to the other without losing our benefits. Investors will have to give an instruction to their service providers to transfer the funds on their behalf. It is important to note that, this will not be a self service function. If you have not started with your tax free savings, 2017 may be the time you do. The sooner the better. More posts on ETFs can be accessed here. I am obviously not coming with only one best savings account option available for South Africans. We have quite a few options to choose from. One may have to look at their personal savings goals and the time they need to save for. Before I even begin with the main issue, I thought it would be important to note the difference between saving and investing. Savings have lower earnings with the capital being safe from any risk. Investing on the other hand usually earns higher returns, with no guarantee of preserving even the capital invested. Lets go back to the best savings account options, shall we. I have said it before, and am saying it again, paying debt off is probably the best saving option at one’s disposal. Most debt has unreasonable interest rates which eat into whatever interest a saver earns elsewhere. Debt like credit cards and other consumer debt often cost above 20% per annum in interest. It does not make much financial sense to pay above 20% in interest whilst earning way below 10% in savings. Something for one to think about. South African banks have various options for cash saving. These are given various fancy names, depending on the bank’s creativity. Do not get hung up on fancy titles. This usually earns the least interest rates of the lot. I am using a one day notice account instead of this kind of account as a result. See the next bank option below for what I am personally using. A typical savings account may earn around prime interest rate minus 6.5%. This is extremely low. It is definitely lower than inflation, which means that your money is in real terms losing value. The main advantage of this kind of savings is that your money is readily available at all times. The notice accounts also differ from bank to bank. The most popular seems to be a 32 days’ notice account. This usually earns anything in the vicinity of prime interest rates minus 5.9% from R250 to prime minus 2.9% for any savings above R50,000. You will notice that, the higher the amount saved, the higher the interest earned. You are better off with an account balance of above R50,000. I am using a one day notice account for my emergency fund which earns from prime interest rate minus 4.75% for R5,000 to R9,999 to prime interest rate minus3.5% for any balance above R500,000. The money market account also offers the benefit of the cash being available at any moment one needs it. The difference between the money market account and the basic account is the minimum amount one needs to keep in their account and of course the interest to be earned. This is usually from R20,000 with low earnings of about prime interest rate minus 5.75% and slightly above that for higher available savings. Some banks offer a higher interest for their professional bankers. Wealth does pay. The fixed term deposit accounts have their interest varying according to the term the money is kept in the bank. This varies from 3 months to above a year. The implications are that you will not have any access to your cash until the term chosen lapses. The interest may go up to 1.25% below prime interest rate. This is not a bad rate for savings but the inconvenience of not having the access to the cash is the main disadvantage. Easy access deposit accounts are similar to the fixed term deposit accounts. Most banks give a favourable treatment to citizens above 55 years of age. If you are in this category, investigate the extra benefits on offer for pensioners. Given the fact that homeloans are generally costing higher interest, using them as a savings tool is beneficial. The only way to ensure that one gets their cash when they need it is to ensure that they have an access bond in place. 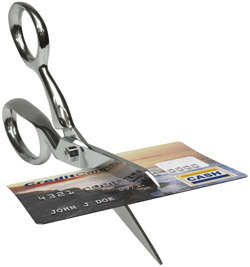 Some people use unconventional tools like credit cards for extremely short term savings. The key is embarking on thorough research before one decides on the best savings account that meets their needs. We have dealt with investing throughout the blog. That is the obvious way to build wealth quicker. You will always need both for building and preserving wealth. The reader's email below is about buying property from a sheriff's auction to create wealth. All the best to you Mr S.
I'd like to start by thanking you for your informative blog. I have learnt so much from it. The reason I am writing is that I would like to start investing in property and I'd appreciate getting your advice. I have a house that I purchased 3 years ago and I am halfway through paying off the bond. I use this as my home and I would like to purchase a second house to rent out. What I would like to know is should I wait until I pay off my house (which can take up to 3 years from now) or should I borrow the money I have paid so far for my house and buy a very cheap property. 3. What would be the cons of buying from an auction? Thank you for taking the time to even read this and please can I ask that you keep me anonymous should you put this on your blog. 1. Would I be likely to get a good property at a cheaper price? Your first question is on whether you will be likely to get the good property at a cheaper price when buying property from a sheriff's auction. The short answer is that, you can get a good property at below market rate prices anywhere. Buying a bargain property is possible but because of where we are in the economic cycle, those deals are not easy to spot. Searching for bargains is not easy, especially at this time of the economic cycle. Recession is the time where opportunities to get bargains are unlimited. There is also existing players in the sheriff's auction property space. You have to go there and compete with guys who are experienced and even determined to intimidate and scare you off. Everything worth fighting for is usually a bit scary. In all, you may get the good property at a cheaper price in and outside the auction. You will need a bit of preparation for the auction. Your local sheriff should be able to provide you with the list of what they have available. The trick with the auctions is to determine the amount of money you are willing to part with and not be easily swayed from your target. Critical decisions are not taken at the auction, but before it. You have to know how much returns on investment (ROI) you are willing to settle for. You then do the maths and know what you can offer to get those returns. Going to the auction is only to get your predetermined ROI. You may start by doing a trial exercise by going through the sheriff list, picking a property, doing the maths, attending the auction and asking the questions to have an understanding of the whole process. A number of variables will determine your bottom line. The property you are eyeing may be having debt for water and electricity, rates and taxes, home owners association fees, and other fees you need to pay. The property may also be home to a tenant who refuses to vacate it. And getting rid of the tenant may be a costly legal battle. That is more reduction to your ROI. If the property is vacant, it may be in a bad shape or even vandalised and in need of costly repairs. Naturally, any distressed property is likely to need repairs, and that should be catered for. Renovations can be quite expensive. 2. Do I need to purchase cash or will the sheriff's office wait for the bond approval to be processed by the bank? You need to have a deposit. But be sure you can get it back if you are unable to secure a homeloan. It is more difficult to secure a loan for a repossessed property than properties in the open market. If the property has been vacant, it is usually in a state of neglect. It may actually be in a similar state even when occupied. You stand better chances of getting the financing from the bank that repossessed that particular property if it is already in the hands of the bank. If you can, arrange for financing before hand. Please refer to number 1 above. Other disadvantages are related to how the property looks. You are buying it "voetstoots", meaning that you get it as is. Some of the problem areas are not easy to spot. You have no grounds to put a conditional offer. As mentioned above, you will have to pay for outstanding levies, rates and taxes and other related costs before your property is transferred to your name. I also secure the place by changing all locks before letting it to new tenants. So the security measures are not unique to distressed properties. However, it becomes even more important for properties that have been vacant for a while. Apart from those costs you have to also pay the auctioneer and sheriff's commission when buying property from a sheriff's auction. The Sheriff’s commission is about 6% on the first R30 000 of the proceeds of the sale, and 3.5% on the balance thereof. The maximum commission payable is R 10,777 plus VAT with the minimum being R542 plus VAT. The electrical compliance certificate may attract an extra cost especially if the wiring is faulty. The seller of my latest acquisition just parted with about R50,000 to fix the old wiring. Buying property from a sheriff's auction is becoming a broad topic. I will have to follow it with a summarised version post of the sheriff's auction conditions. The bottom line is that, you may not be getting a bargain if you have not done a thorough job of investigations and calculations. The area where the property is located remains an important factor. It is so important to never let your dream die. This evening I have been thinking about a number of doors that closed shut in my face "BANG!!!". Just as I thought, "if only I can get 1, 2, 3 opportunity, I'd be OK". Somethings blocks it. But each time I miss out on an opportunity, I somehow get amazing energy to create another one for myself. Even this blog is the direct result of writing opportunities I missed on. I always wanted to interview the South African middle class to stir a debate on how we can better our lives. I sent proposals to publications on this in vain. Until one day I decided, "Flip, I'll do it by myself". Then this blog was born. I love what I am doing here. Thanks for reading, sharing and continuing to send me emails. There are plans to grow this platform to something really big. Keep watching the space. Thanks again for being part of my happy space. Thanks for the amazing emails. I respond to each and every email I receive. I keep all emails anonymous when I respond to them through this platform. Feel free to make a follow up question or comment using the "Contact Us" button above. AND If you find this post helpful, be so kind to share it on your Facebook wall or in other social networks using one of the buttons below. The reader's email below on getting a homeloan and paying it up quicker or paying cash for a house made me think a bit. All I can do is give the pros and cons of each option. I have done all three when I was trying to find my spot in the real estate space. I just wanted to get your take on ways in which one should pay for a house. 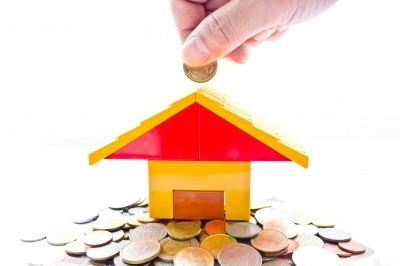 Would you advise a new home buyer to get a home loan or pay the house cash if they have the money? And if one opts for a home loan would you advise they pay it off as quick as possible? Thanks for your question Miss P. This blog is keeping me sane on so many levels. I am currently busy with my biggest renovation so far and have limited time to write. All my free time is spent shopping for building material and drawing layman plans. I will share details of acquiring and adding value to this property hopefully soon. I find your questions much more interesting and thought provoking than my soapy mortgage and dust sniffing stories. With my current schedule I only find quiet time to write just before bed. I am very glad that more than a few people benefit from my writing. This blog is my happy space. Back to the question at hand: Getting a mortgage and paying it up quicker versus paying cash for a house. Taking a simplistic view to this option can lead to a conclusion that it is the cheapest way as one saves on the interest that would be paid on the homeloan. The major benefit of this option could be more mental than financial. Knowing that one owns the property fully can afford them peace of mind. Peace of mind cannot be taken lightly. Let's face it, it is a nice feeling not having to pay for any monthly installment. I have enjoyed not having a homeloan each time I had none. I may never ever enjoy that ever again but it sure is a nice feeling. I especially prefer not having a homeloan on my primary residence as its debt attracts no tax benefits. The other advantage of paying cash is the bargaining power it affords one. It is a fact that all sellers would prefer to sell to the cash buyer. You can easily make a ridiculously low offer as a cash buyer and have it accepted. Its true that "cash is king". Just the other week my agent got a bargain piece of development land at R1.2M asking price. Within a few days the seller got a cash offer to purchase for R800k. 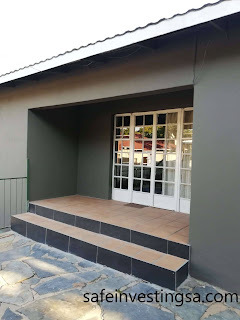 He immediately told my agent that he is not looking at any new offer that is not cash and will be selling to the R800k guy if he does not get a better cash offer. Sellers don't want the stress of the buyer not being able or taking too long to secure a mortgage, changing their mind, etc. cash buyers often get better deals. These benefits make paying cash for a house seem to be the most attractive option. Option 1 does look great, however financial life is more complex than that. There is never a simple YES or NO solution to any investment decision. There are a lot of factors involved when taking wealth building decisions. The most important of those factors being the opportunity cost. The dictionary definition of the opportunity cost is "the loss of other alternatives when one alternative is chosen". One has to consider a number of alternatives that would have been explored with that amount of cash if it were not tied to the home investment. I will make an example of a R1M (R1,000,000) house paid for in cash. And just to be realistic for current South African interest rates, I will look at the 10% homeloan interest. If your home is paid for in cash, it is paid for and that is it. You save about another R1M in interest that you would have paid over the homeloan period of 20 years at 10% and gain some more in capital growth of your home. You also save a bit in interest if you get a mortgage and fast track its payment. The only difference here is that with your home paid for in cash, your money is tied into one illiquid asset. Whilst saving or investing your R1M in one or more other more liquid asset classes may offer more risk combating benefits. Ok, I had to throw in this third option. It is the approach that I would personally take based on my own focus strategy. Paying cash for a house is something I have done a few times in my early days by the way. Whilst it gives this priceless feeling, not taking advantage of the power of leverage does not sit well with most property investors. I would take the R1,000,000 and get into serious real estate debt. It would probably be my 20% equity to acquire R5,000,000 worth of investment property. Using it as a 10% equity to a R10,000,000 (R10M) worth of investment property sounds even better. Oh well, that is just me. This approach carries tons of risks. But those risks are shared with the lending institution. I will revisit blogging on building wealth through "the power of LEVERAGE". My latest acquisition with no deposit or down payment is a great example of this. One needs to do a lot of research before investing their hard earned cash. If one has no clear focus strategy, they should invest in education, a mentor or a coach. In the previous post on Building Wealth I was looking at a simple three phase approach on creating and growing wealth. If you find this post helpful, be so kind to share it on your Facebook wall or in other social networks using one of the buttons below. A steady and sustainable way of building wealth begins with a focus strategy. That’s the gist of the message that I have for the reader who sent me an email below recently. Thanks CV for your email. Your blog that I just read is very inspiring. Pardon my poor English firstly. I would like to tell you my story. did not finish. My parents are on the verge of bankruptcy. I do not want to fall into the same "rat race" as described in "rich dad, poor dad". I have built a reasonably good credit record so far. I haven't made any permanent debt except for a cellphone contract. I am an entrepreneur at heart and I am very interested in letting the little amount of money I have work for me. What would you recommend I do? I hope to hear from you soon and to learn as much as possible. Building wealth starts with earning and earning enough. We all know that any amount saved is better than nothing saved at all. What beats saving any amount is saving more than just any amount. One can only save more when they earn more. And one can earn more when they empower themselves. If you love your current job, get yourself skilled in doing it better to attract better opportunities. One needs to be proactive to get themselves where they want to be. If you think of a way to earn even more than your salary, explore those options. Side hustles are always a great way of fast tracking growing wealth. Explore your passions, talent and skills and try to monetise those. Opportunities do present themselves when we are busy working on bettering ourselves. I will not waste your time explaining how you need to take charge of our expenses. You seem to be mastering that one already. Staying with your parents for as long as possible could be one way of cutting costs. It is only when we spend less than we earn that we stretch our rand. After having earned enough for building wealth, save at an escalated rate. This is where most people miss it. They earn a high income and spend it all and then some. High income exposes one to higher credit, which can translate to higher debt. The fact that you qualify for higher credit to buy a bigger house, car or whatever luxury does not mean you should go out and buy those. Wise people live below their means. I have written a few articles on paying yourself first. 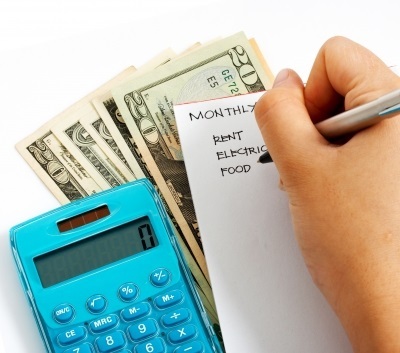 Draw a budget to determine how much you need for each month. What helps in drawing a more accurate budget is tracking your spending for a few months. In that few month keep the receipts for all your expenses and have them recorded in the spreadsheet. I actually swipe my card and do electronic transfers everywhere possible for my spending to ensure that I have everything on record. I cannot be trusted with keeping small pieces of paper. Using the monthly records of how much you are spending, draw up a budget. In your budgeting start with shelter, transportation, food and all the basic needs (your must haves). Add a small amount of wants to your budget (your good to have). Cut out wants that are unnecessary like the gym membership and the pay TV. Those are always my favourite victims. Hopefully you can cover all what is in your brand new budget with 60% (R6000) of your income or less. That leaves you with 40% (R4000) or more of your income for saving and investing. Make a thorough research on interest earned by bank accounts like a money market accounts. Open the highest interest bearing transacting account of your choice at the bank. (Mine earns 5.6% and requires a minimum of R5000 to open and keep). This bank account will keep your short term savings. Some refer to this account as an emergency or contingency fund. Name it whatever you wish, just open and use it. The purpose of this account is to handle emergencies. Some people prefer to keep 3, 6 or 12 months’ worth of monthly expenditure in their emergency accounts. If you go for 3 months, you will not need R10,000X3 (R30,000) but R6000X3 (R18,000) if we make assumptions based on our example on budgeting above. This has to do with what you need to go through the month and not what you earn. I take this to be the most crucial step at creating, preserving and building wealth. Even at these low interest rates, you are benefiting from the compound interest. See this article on the magic of compound interest. Still on building wealth and taking it a step further by investing. Think about LIVING well, attaining financial freedom when you can still enjoy your life and retiring when you want to. I would say that before you even start with different forms of investing, get yourself a good retirement annuity to take advantage of the tax benefits. Read my recent articles on tax free savings here, here and here and see what vehicle you can use for your long term savings/ investments. I am a fan of exchange traded funds as a passive form of stock investing. You will need to do your own research to see what works for you. Keep empowering yourself on what is available on the market. At your age, you can build a lot of wealth from very little. You have 19 years to 40 and 14 years to 35, if you decide to retire then. Your investment decisions can be planned around the amount of time you have before your planned retirement. Other asset classes that you may invest in include property, bonds, stocks, etc. Your investment asset has to earn you capital growth and create passive income for you over time. Re-balance your portfolio from time to time as you are continuously building your wealth. A diversified portfolio is generally lower risk. In conclusion, my own formula with creating, growing and building wealth is in three small stages. Those are earning enough, saving more and investing even more. Thanks for your question again CV. Please read the article I wrote for my sister who was starting out in this link: Building Wealth from First Job. Thanks for the amazing emails. I may take longer, but I respond to each and every email I receive. I keep all emails anonymous when I do respond to them through this platform. Feel free to make a follow up question or comment using the "Contact Us" button above.